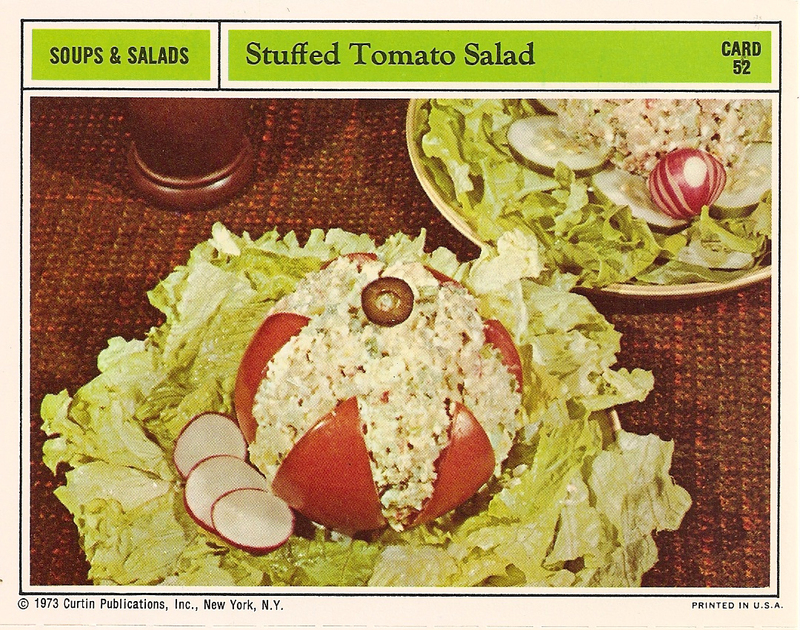 Further adventures in really bad food photography from the 1970’s! over shrimp. Combine shrimp, potatoes, eggs, celery and green onions. Blend mayonnaise, sour cream and mustard; mix with salad ingredients. and serve on a bed of lettuce. Garnish with sliced radishes and olives.